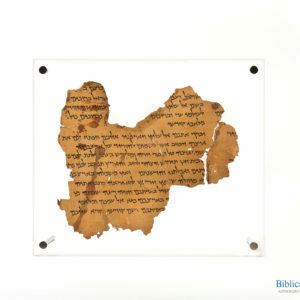 This replica of Isaiah Scroll (4Q5 PL. 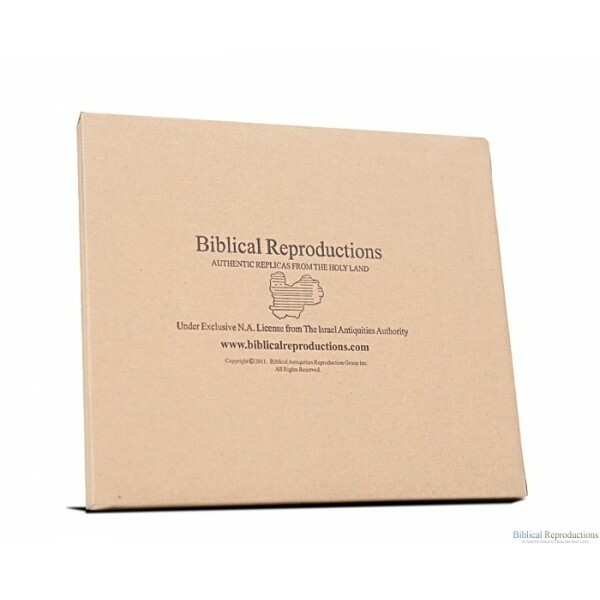 363/1) contains portions of Isaiah 22:10-14 (right column) and Isaiah 23:8-24:15 (left column). 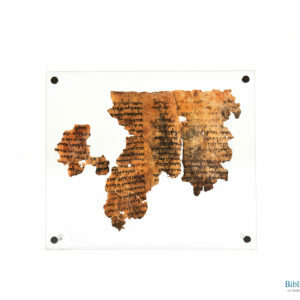 This piece was discovered in Jerusalem’s Old City and the City of David.The scroll dates to the first half of the 1st century CE. 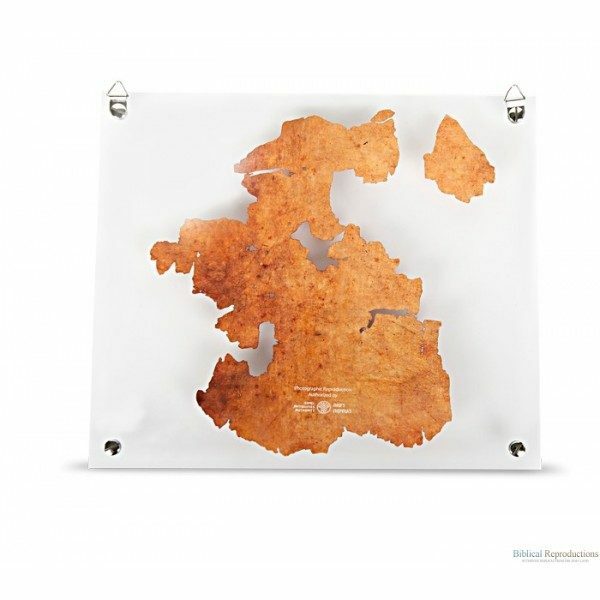 This photographic reproduction of a Dead Sea Scroll – 4Q5 PL. 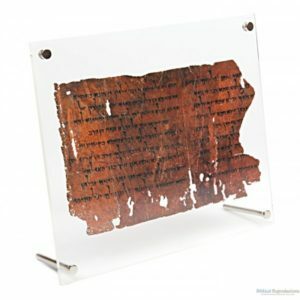 363/1 – contains portions of Isaiah 22:10-14 (right column) and Isaiah 23:8-24:15 (left column). 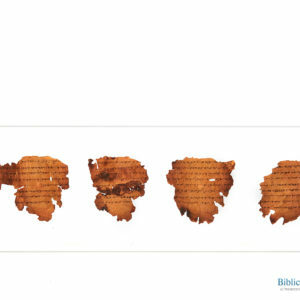 Of particular importance is the mentioning of the great building works performed by Hezekiah in the wake of the Assyrian Conquest in the 8th century BCE, evidence of which has been discovered in Jerusalem’s Old City and the City of David. 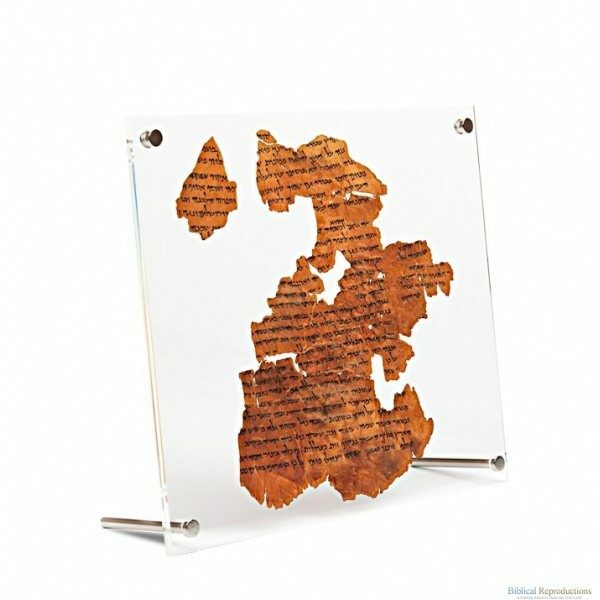 The scroll dates to the first half of the first century CE.